Starring over 300 CDH families in the fight against the trademark on “Congenital Diaphragmatic Hernia Awareness” filed by Breath of Hope, Incorporated. On February 24, 2009, the following letter was sent to the Board Members of Breath of Hope, Incorporated. It is our formal attempt to end this trademark issue peacefully and to request that their organization do what is best for all families affected by Congenital Diaphragmatic Hernia. This is our effort to resolve this particular issue and end this trial and to save the entire CDH Community 2 years of USPTO trial dates and to use our time and resources to better help CDH families. The trademark trial is continuing, and will go forward, unless Breath of Hope, Inc. decides to resolve this issue. What happens next is up to Breath of Hope, Inc and it’s Board Members. This communication is only for mediation purposes of attempting to resolve the “Congenital Diaphragmatic Hernia Awareness” trademark issue. For the sake of having a peaceful dialog, we will keep this letter to the point and not comment on any other issues. We hope that you can do the same and help us to find a realistic and positive solution to this trademark issue. The trademark on “Congenital Diaphragmatic Hernia Awareness” has been extremely detrimental to the entire CDH community. 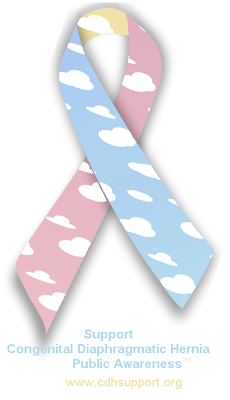 The “pinkwashing” excuse has failed to give any valid reasoning of why Breath of Hope, Inc. has filed the trademark on “Congenital Diaphragmatic Hernia Awareness”. The idea that anyone could own “Congenital Diaphragmatic Hernia Awareness” has deeply angered the majority of the CDH community, as it has hindered Congenital Diaphragmatic Hernia Awareness itself. Nothing good has, or could, come from this. It is our sincere hope that you will do what is best for the entire CDH community and remove this trademark. CHERUBS, and several other CDH organizations, do not feel that we should have to ask permission from you or Breath of Hope, Inc. to use a common term that we all use daily. To ask us, CDH families and researchers, to do so can and will only hinder progress of spreading Congenital Diaphragmatic Hernia Awareness. If you have not already read the comments at http://www.ipetitions.com/petition/cdhawareness we would like to ask you to do so. You can also read the comments at http://www.facebook.com/group.php?gid=56377210497. Over 5700 CDH families, survivors, friends, pediatric surgeons, nurses and others have asked to stop this trademark – including many members of Breath of Hope, Inc (with some being past board members). It is from this group that we will pull witnesses that will tell the United States Patent and Trademark Office that “Congenital Diaphragmatic Hernia Awareness” is a common term. 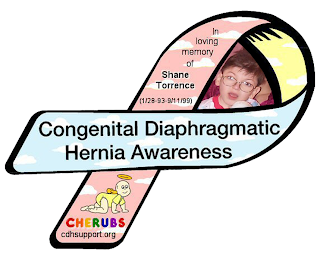 On behalf of myself, CHERUBS and 1000’s of CDH families and medical staff, I would like to formally ask you to drop the trademark on “Congenital Diaphragmatic Hernia Awareness”. We all hope to work together to reach an agreement and better the CDH community. If you agree to do so, we will agree to refrain from filing a Petition to Cancel on the “Congenital Diaphragmatic Hernia Awareness Day” trademark, even though we believe that every CDH family should have the right to participate without asking permission, being threatened or forced to give funds to Breath of Hope, Inc. We are all aware of your desire to own and control “Congenital Diaphragmatic Hernia Awareness Day” from other CDH organizations and, as an olive branch, are willing to allow the trademark for the day in lieu of the trademark on “Congenital Diaphragmatic Hernia Awareness” itself. As always, all CHERUBS wants is for CDH families to have the support and information that they need, and to encourage Congenital Diaphragmatic Hernia awareness and research. We understand that this is the goal of all CDH organizations. We ask that you will reconsider this trademark and focus on doing what’s right for families affected by Congenital Diaphragmatic Hernia, and furthering the support that Breath of Hope, Inc gives. It is not our wish to hurt you or Breath of Hope, Inc. We simply have asked for this trademark to be canceled and the term “Congenital Diaphragmatic Hernia Awareness” returned to the community who has been affected by Congenital Diaphragmatic Hernia. 1:00 pm EST tomorrow, February 11, 2009 …. please say prayers for all CDH families that this drama may end. How else can you help? Sign the petition and invite family and friends to sign. We suggest finding other ways to contact the board (Myspace, Facebook, personal e-mail) as there is no guarantee that their BoH e-mail addresses are real or that mail is not filtered by the CEO. This has been suggested by former BoH Board Members. We will not post their private e-mail addresses. Thank you everyone for your support throughout this ordeal and for all you are doing to help CDH families!! !